Enough Rose Geranium Leaves to make a rose flavored cake. about 30 large leaves. In Business Since 1975 we have been growing all natural produce and have developed our own "Ecologically Grown" systems for field and greenhouse production of the finest quality and flavor tomatoes basil herbs microgreens and wheatgrass all year 'round. Special Items for the Holidays! 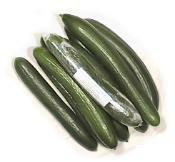 Beautiful, thin skinned, and nearly seedless - these prized cukes are eaten by world famous chef on "their" salad even when do not have enough for their customers! Herbs and flowers etc that are more often used for scent and flavor infusions rather than being eaten directly. Amazing pesto of all flavors made on the farm from our fresh cut herbs and greens and then quick frozen for long life. Rich and full of flavor with more greens and herbs than most pestos available today. Our most famous crop because of their wonderful flavor and quality all year round - almost always sold before they are picked - we still wait until they are fully ripe and flavorful and beautifully red before they are removed from the vine. Meet The Farmer TV explores local food systems in an ongoing series TV show examining the deeper values and hidden benefits of purchasing your food direct from the farmer. 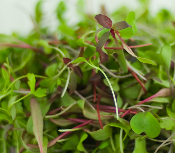 Tender baby greens with the finest flavor and quality available year round. Mix, Baby Arugula, Baby Sorrel, Baby Tatsoi...and more. 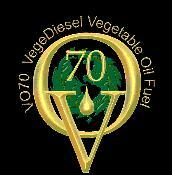 Our own Farm Distilled essential oils steam extracted from our own fresh crops yielding some of the richest potent aromas and flavors in essential oils and hydrosols. 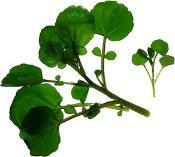 Fancy clean tender and delicious greenhouse greens and lettuce in larger size leaf than our micros and baby greens. Baby Ginger by the pound. 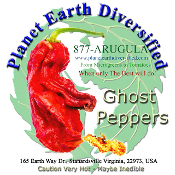 Fresh Harvested from September through November each year - only available at this time. Arugula packed pesto! Fresh cut arugula greens, right into our farm kitchen for premium packing. Long standing, winning recipe! Great for sauces, dips, dressings, and more...flash frozen upon fresh creation. 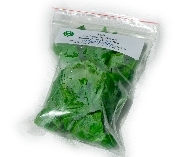 A small zip bag of the freshest tops of Italian Basil. Basil packed pesto! Carefully crafted fresh green basil pesto is hand selected and ground in our farm kitchen, right next to the greenhouse! All time favorite standby on pasta with tomato. Make on the farm from our fresh picked raspberries, brilliant color and flavor. A great addition to salad dressings and as a drizzle for many dishes and desserts - of course on waffles and pancakes! 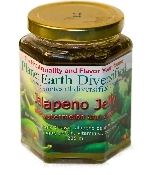 Jalapeno Jelly made fresh on the farm from our hot peppers, watermelon and raspberries! Watercress packed pesto! Relative to the Nasturtium, it is fun to layer flavor nuances with a bit of sweet here and savory there. Our watercress is especially clean, making it easy to harvest fresh and crisp right into the kitchen. Difficult to find and only in the warm wet spring season our woodland wildcrafted morels are delicious! Edible Mint Flowers sweeet and minty.